After being colocated at Internap's Houston Datacenter with FastPCNet for 6 months I feel I have enough experience to give an honest review of the two companies, and their customer support. I have toured a few of the local data centers and I have to say Internap is the most impressive. Everything is redundant. In the 6 months I have been there I haven't had a single outage. Some people might say 6 months without an outage is nothing to get excited about. They expect the datacenter to stay up, and short of nuclear war it should never go down. Be very careful who you pick to colocate your servers. All Data Centers are not Equal. Internap is not a cheap data center. Remember you get what you pay for. 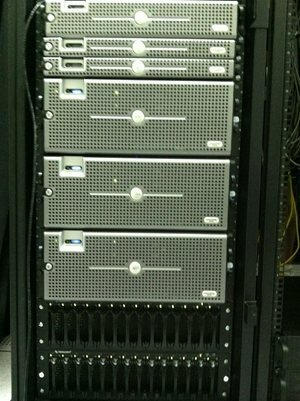 The cheap datacenters will offer you 1 unit of rack space for sometimes $50 / month. Most guys who are colocating their first server are very sensitive to price. They want to make sure they don't get nickled and dimed for simple stuff. If you have never colocated a server before, then its likely price will the deciding factor. Let me save you the time and money. Don't go with the cheap guys. Cheap data centers often will have a single carrier, maybe 2 if you are lucky. Many of them are fly by night companies, who use price to attract customers. Everything is great when things are running smoothly. But when there is an outage, and you can't reach support to get a update on what the status is, and your clients are texting you and calling you 24/7 wanting to know why its down and when it will be back up, trust me at that point colocating at Internap will seem like a bargain. First ask yourself this. If a Category 5 Hurricane hit your data center, would it still be standing? If you are colocated with Internap the answer is yes, and not only would it still be standing, it will keep running. Internap is constructed to withstand 200+ MPH winds. It also has redudant UPS and Diesel Generators in case of a power outage. Not only does Internap have multiple carriers. They have their own proprietary flow control system that sends the packets down the fastest routes. This ensures each visitor to your website gets the fastest performance possible no matter where they are located. Most other data centers use the round robin approach to packet handing. You can't just walk into Internap. They have multiple key card entry points, video surviellance, and a guard before you can even reach the elevators. So if you want to get colocated with them you will have to work with one of their customers who already have cabinet space. I am colocated through FastPCnet. 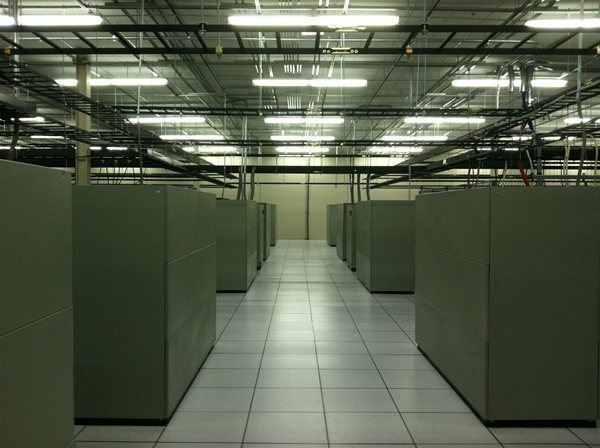 They have several cabinets at the Internap Houston data center, and have very competitive colocation plans. I am paying about $200 / month for a 1U colocation that includes power, and 3 Mbits of transfer burstable to 100 Mbits. They have some very good deals on bandwidth for high transfer customers. If you are ready to stop messing around with shared hosting guys ( 1&1, Godaddy, Gator, Rackspace ), and start giving your clients the kind of hosting they deserve call John 713-422-2400 ( guy in the picture above ). Don't even think about getting one of those cheap dedicated servers from godaddy. I have been down that route already. The big companies over sell their network, and they throttle your bandwidth leading to very poor video streaming ( with lots of pauses for buffering ). If you have your own server and just need to colocate it, he can take care of you. He also has Virtual Dedicated Hosting on his cloud for those guys who would rather not bring their own hardware to the data center. Also he is not only in Houston, He has Cabinets at many other Internap Data Centers too. At this point you couldn't pay me to colocate my server somewhere else. I have already been with the other guys, and there is no comparison, Internap is where you want to be. 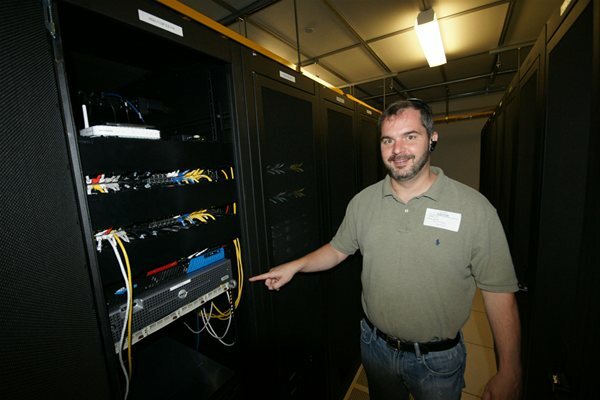 The actual guy who manages the Houston Internap Datacenter is a great guy, nothing against him. His job title is national account manager. As such, he had no input in the decision Internap decided to make in regards to the elimination of their agents. But Internap's upper management I guess is more concerned with selling the company rather than continuing to grow the company. Any time a company wants to get bought out, they will change their business practices to make them look better on paper. To do this Internap kicked out most of their Agents ( resellers ), and slashed the commissions on the few resellers they decided to keep on. I am also hearing they screwed over their own Account Managers on commissions. Makes sense, as typically after you screw over your employees they will quite / resign. Then the company can hire another employee who will take much less money to do the same job. After all with 10% unemployment its a buyers market for employers. I am not saying companies don't have the right to fire / layoff expensive staff. But there is a right way and wrong way to do it. In total all these cost cutting measures greatly reduce their liabilities, and makes them look better to a potential buyer. However I have a feeling that Internap was doing more than just changing the commission structures, and cutting staff costs. This is just a theory, with a little fact mixed in. 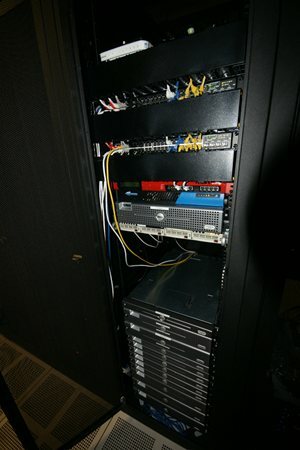 When I first got my server in the racks at Internap, they had 6 data providers. According to John, they were down to 4 when we left. First of all my server is not a weak POS. ( Dual Xeon 3.6Ghz, 15K SAS Drives in RAID 10, 16 GB RAM, Gigabit port, Windows Server 2008 R2 ) So when I colocate it and its sitting on a 100 Mbit port, I expect that I could easily saturate my home's 12Mbit Comcast Cable modem connection on something like an FTP download. But at Internap the best I ever saw was about 4-5 Mbits. I thought that maybe it was my server. Or even my Comcast Cable Modem Connection. But after John with FastPCNet moved us to Core Exchange in Dallas, I noticed that now I was able to easily pull a 12 Mbit download via FTP fully saturating my Comcast internet connection. This surprised both John and me, as one of the things Internap always bragged about was their network. So either Internap is throttling the connections, or they are overselling their network capacity. Or maybe the fact that my connections have to route through Dallas is the reason for the slow transfer speeds, but to me this doesn't make sense, as I can saturate my Comcast Connections on other servers that are located across the country. Either way its not right. Internap charges more than just about every other datacenter. Granted I appreciate the piece of mind from knowing my server was colocated in a building made to withstand 200 MPH winds. But if I can't do more than 5 Mbit transfers from my server to my home something is not right. However I do want to be fair. During the time I was at Internap I never had a single outage. But then again my server was never there during hurricanes and other Acts of God which would have really tested Internap's data center. Internap was in negotiations with some huge Telecom to be bought out. I guess Internap seemed to think they were worth more than they thought, and the Telecom walked away from the deal. Internap now wants to make its self look good on paper. So Internap has decided to kick out the 300+ agents from its datacenters. They were only going to keep about 10 agents in total that had higher volumes. But the agents they are going to keep are having their commissions slashed to 1%, which does not make them happy. This is all in the attempt to look good on paper. John with FastPCNet ( my datacenter guy ) last Saturday Night pulled all our hardware and moved us to Core Exchange in Dallas. Granted I am not happy about being a 4+ hour drive from my server, but I trust John's decision. Thus far I couldn't be happier. I can actually saturate my comcast connection now. Before at Internap I would be lucky to get 600 KB/sec transfers. At Core Exchange I am fully saturating my comcast cable modem at 1.5 MB/sec ( 12 Mbits ). All my websites are running faster as well. Turns out my server is not the weakest link. I am starting to believe the problem was Internap's network the entire time. You DO NOT want to colocate your server in Houston. Houston is not a Major Hub. Dallas is the only major Hub in Texas. A Major Hub is a place where all the data provides meet up to hand off their connections. As a result if you Colocate your Server in Houston, any request made to your server will have to go up to dallas for the hand off to another provider, then it comes back to Houston. By Colocating your Server in Dallas, your reduce the number of hops, since your server is by a Major Hub. I know many guys are concerned about colocating their server in Dallas. They don't want to drive 4 hours to swap a drive or power supply. No worries at Core Exchange you get free remote hands. In my case I had 2 spare 15K Fujitus SAS drives, and 1 spare power supply. John keeps those at Core Exchange, so if I ever need a drive swapped, they can do it. I have been with FastPCNet for almost a year now. They are great guys, who won't nickle and dime you for stupid stuff. And if you don't want to run your own hardware you can get on their cloud host. If you are looking to colocate a server in Houston or Dallas call John 713-422-2400. If you are still at Internap I highly recommend you see how fast you can FTP from your server. I am willing to bet you will get the same lousy 5 Mbit transfers I did. For some people they might have no problem with a 5 Mbit downstream But if you are like me and have to backup a 2 GB MySQL database every night speed matters! whats funny is now they bought voxel which was a good company in a last ditch attempt to save their sinking company. it will probably be the voxel guys who can save the company after all, but it will be a miracle if they can plug all the holes and stop the ship from sinking. ironically cutting their agents would have been about the only thing capable of helping them from falling apart. good move geniuses.